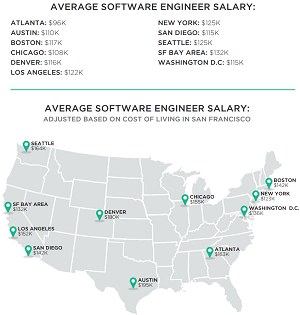 The allure of high software engineer salaries in San Francisco might not be so appealing after the area's incredibly high cost of living is factored in, according to a study from careers company Hired Inc. When the area's notoriously high housing costs and other factors are added to the mix, the San Francisco area actually fares quite poorly when compared to other major cities in the U.S., says the "State of Salaries" report. "While it's easy for job seekers to get stars in their eyes over the salaries in San Francisco, when you adjust for cost of living, an engineer's salary goes further in every city in our analysis with the exception of New York," the company said in its inaugural report. 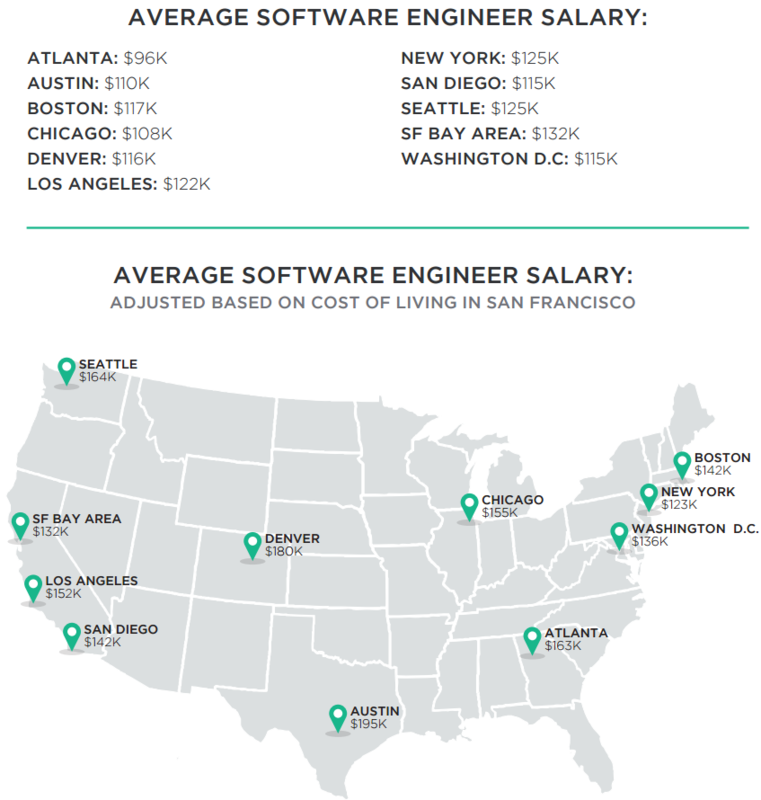 Without figuring the cost of living, San Francisco leads the study of 11 major U.S. metropolitan areas, with an average salary for software engineers pegged at $132,000. With the cost of living figured in, however, Austin, Texas, leads the pack. "An engineer in Austin making $110,000 would need to make $195,000 in San Francisco to maintain the same quality of life," the report states. One good thing about San Francisco, though, is that it's a great place to start out your software engineering career and then move on. "Forgetting cost-of-living adjustments for a moment, our data indicates that there are advantages to starting your career in San Francisco," Hired said. "Candidates leaving the Bay Area command higher offers than candidates from any other city in our analysis. 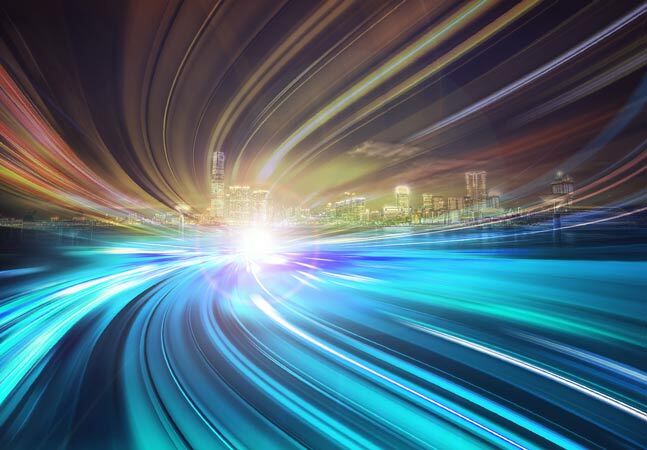 Bottom line: No matter where you want to work, engineers that start their careers in San Francisco have a higher earning potential once they move to other job markets." The flip side of Hired's data shows that employers starting out a new office would be wise to choose Atlanta to get the most bang out of each buck paid to software engineers. The Bay Area ranks dead last in that metric. 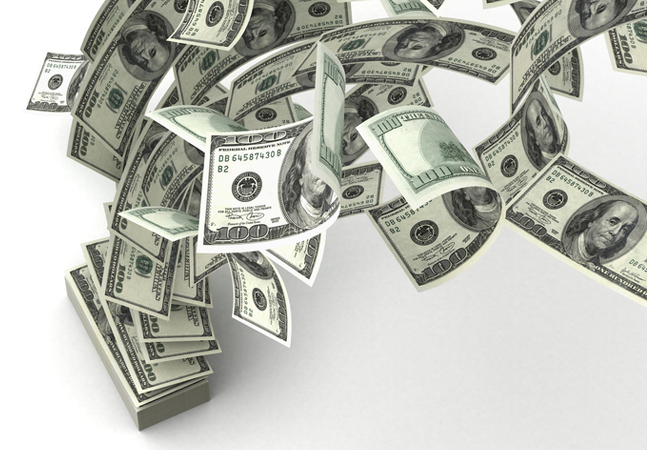 The study also found that mid-size companies pay the highest salaries. "Our data shows that salary and number of employees are positively correlated until we reach the 201-500 employee mark, and then the numbers start to go back down," the report states. 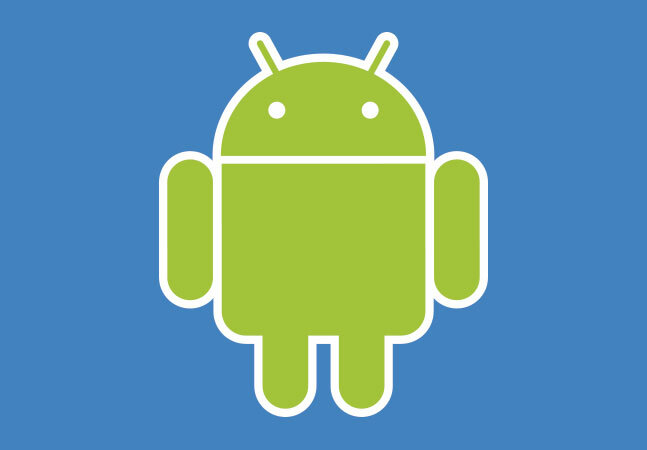 "One possible reason for this is the availability of salary alternatives as part of an overall compensation package. For example, companies with less than 200 people are usually in the series b or below stage, and can offer more equity, whereas many companies with more than 500 people are publicly traded and can offer stock packages. Those in the middle have less equity to give and typically aren't publicly traded, so higher salaries may be a way to keep offers competitive." Hired culled its data from more than 80,000 interview requests and job offers posted in the past year in its marketplace of some 10,000 job seekers and 3,000 participating companies.